"Lying to everyone is difficult - but my life depends on keeping the two worlds separate." Vertical Ent. 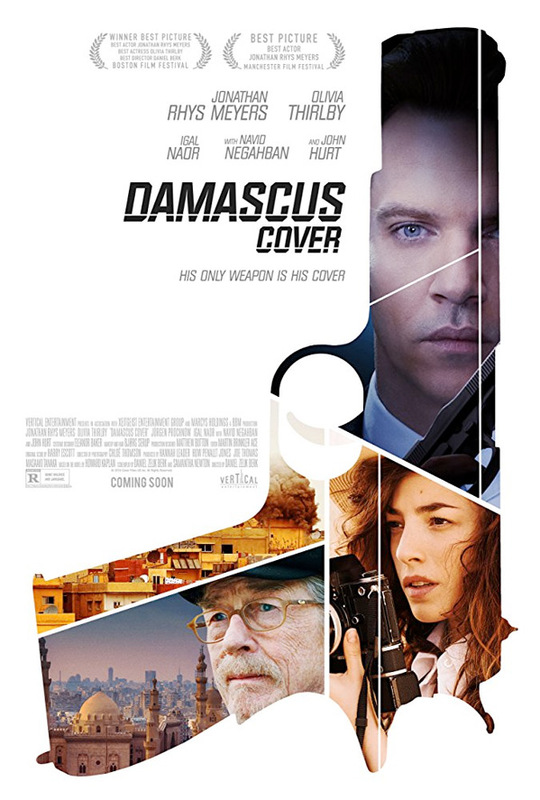 has debuted the first official trailer for a spy thriller titled Damascus Cover, starring Jonathan Rhys Meyers as an undercover agent working for the Mossad. He is sent to Syria to smuggle a chemical weapons scientist out of the country, but encounters many problems along the way including love and treason. The cast also includes Olivia Thirlby, John Hurt (before he passed away), Navid Negahban, Tsahi Halevi, Jürgen Prochnow, Igal Naor and Wolf Kahler. This looks like a fairly typical spy romance mystery thriller, with some big twists and nefarious characters. I'm curious, but not completely sold on it yet. Take a look below. Ari Ben-Sion (Jonathan Rhys Meyers), haunted by the death of his son, is assigned by the Mossad to smuggle a chemical weapons scientist out of Syria. Within days his mission goes wrong. To survive Ari reaches out to a deep cover agent code named, The Angel. He soon discovers that he is a pawn in a much bigger plan. Damascus Cover is directed by American filmmaker Daniel Zelik Berk, a producer making his second film after the horror Sometimes They Come Back… for More. The screenplay is written by Daniel Zelik Berk and Samantha Newton. This premiered at the Boston Film Festival last year. Vertical Ent. will release Berk's Damascus Cover in select theaters starting on July 20th this summer. Is anyone interested?